We woke up this morning to heavy snow, which wasn’t supposed to occur and which threw off our plans for the day. 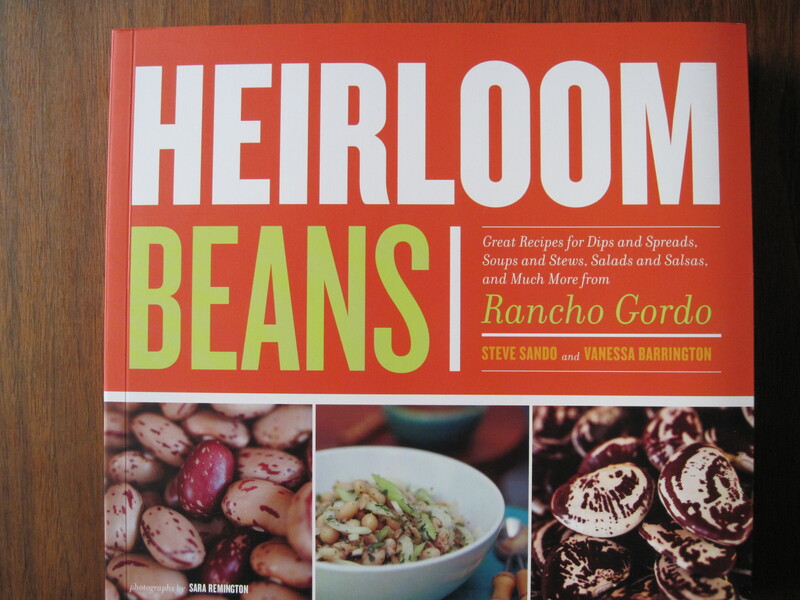 So we said, “Let’s try that chili recipe we’ve been thinking about.” Simply called Red Chili con Carne, it’s in the Heirloom Beans cookbook from Rancho Gordo, a California outfit that has absolutely beautiful heirloom shell beans, available online. We tend to buy six or seven kinds each fall. They usually offer more than a dozen at any time, and almost all are wonderful. We used Santa Maria Pinquitos, a small pinkish bean that we like very much (which weren’t quite what the recipe suggested), and decided to flip the proportions of beans to meat. The recipe called for 2-1/2 pounds of beef chuck to one cup of pre-cooked beans, which to mangiafagioli like us was just wrong! This instruction had us dubious, and there were other differences in the way we usually cook chili. But to me the recipe seemed especially desirable, because it didn’t call for any tomato. (In my graduate-student days, a popular pamphlet called The Impoverished Student’s Book of Cookery, Drinkery and Housekeepery persuaded me that chili should never have tomato – a principle to which Tom hasn’t really assented.) The recipe also involved a bottle of dark beer, ground toasted cumin seeds (an Indian condiment, I’d always thought), and a late thickening with masa harina – which I actually had some of, deep in the back of the fridge. So, a different approach to chili. Well, it was fine. A little light on the heat, since our supply of ground New Mexico chile powder was finishing, but a dose of Rancho Gordo’s own hot sauce made it OK for Tom. (I don’t need things to be as hot as he does.) The recommended condiment of chopped cilantro and onion was important. With it we had plain rice and fresh tortillas. 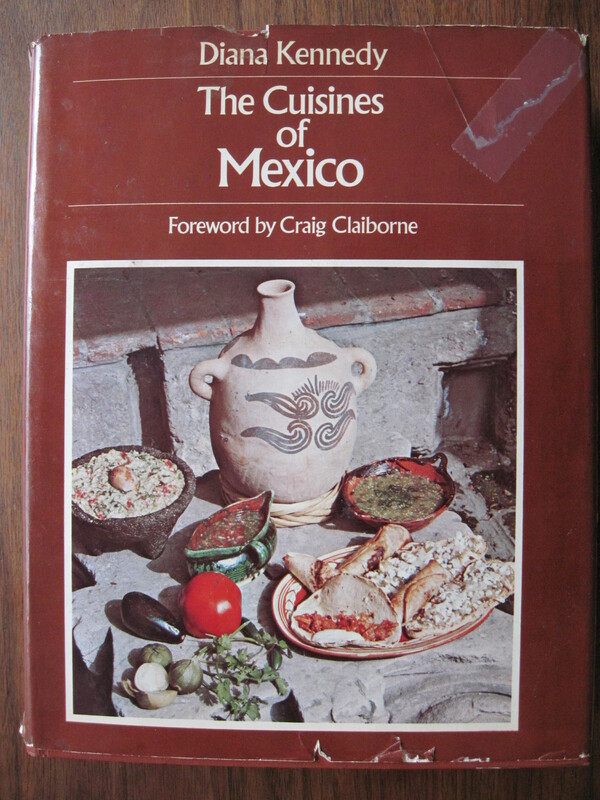 First course was a classic guacamole from an old standby, Diana Kennedy’s Cuisines of Mexico. We drank Nadir, a Sicilian Syrah from Rapitalà, which had enough spice of its own to hold up to the food. And I’m drinking an aged tequila even as I write this report of the meal. Olé!